Sree Padmanabhaswamy temple is a Vedic temple dedicated to Lord Vishnu located in Thiruvananthapuram, India, in the state of Kerala. 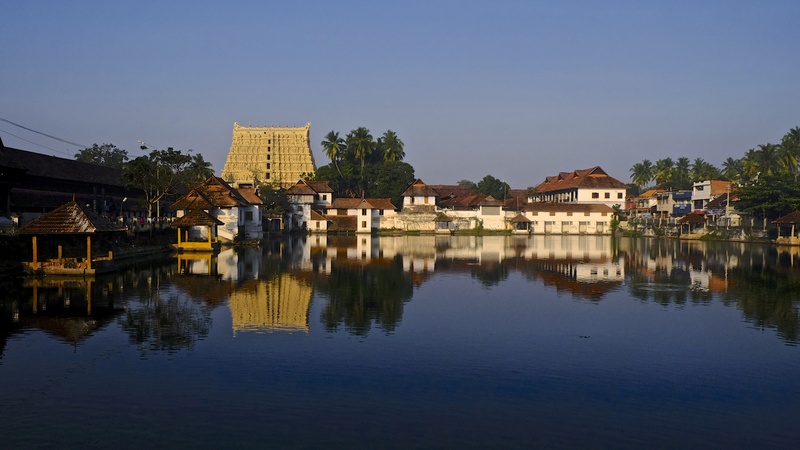 The shrine is run by a trust headed by the royal family of Travancore. The Principal Deity, Padmanabhaswamy, is enshrined in the “Anantha-sayanam” posture (in the eternal sleep of Yoga-nidra on the serpent Anantha).The Maharajah of Travancore bears the title, “Sree Padmanabhadasa’ (Servant of Lord Padmanabha). Thx Vidhya 🙂 It was a great feeling to be there .. Great architecture and rich of history ! !